So it’s come to that point of the year that you fancy upgrading your furniture in the house! You went shopping a little while back and you saw this incredible 3-seater sofa as well as a nest of tables that you just have to have for your place! You place an order for them; however the only problem you seem to find is that you know you need a TW1 rubbish clearance done before you can bring in the new pieces. You look around and there is so much trash around the house that you’d go for a rubbish disposal too. You know that you don’t have the time to do it all by yourself, so you consider hiring a waste disposal TW1 team to help you with everything! 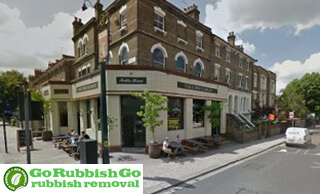 Here at Go Rubbish Go., based in the local TW1 and TW2 areas, we can assist you to the best of our ability! We offer a wide variety of services such as home clearance as well as waste collection in Twickenham. For more information on our rates and services call us today on 020 8610 9182 and speak to one of our experts. You most likely have a very busy lifestyle with your work and you don’t have the time to be moving out your furniture by yourself. Think of it this way, when you want to save time you hire the experts. Furthermore, it isn’t wise to risk doing Twickenham rubbish disposal and injuring someone in the house, including your pets. There have been a number of times that people have tried to move a sofa or a bed out of their place and their pet got in the way, making it challenging to do it safely. 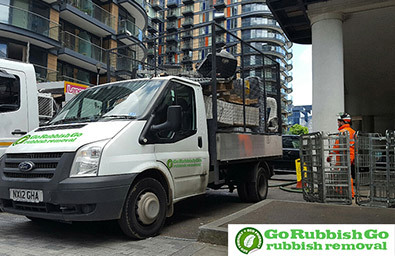 When you hire Go Rubbish Go., we ensure that your children and pets won’t be hurt when we clear out everything for you. Very happy with the work they did at my house in Twickenham. Cleared out the cellar in a couple of hours and assured me that everything that could be recycled would be sent to a recycling depot. Would hire again and would tell everyone I know in TW1 about this brilliant waste removal service! Among our other services, we also offer commercial clearance as well as garden waste clearance. Sometimes carrying out furniture disposal in Twickenham means that we need to have access to your garden, as a lot of people keep their old furniture there. For more information on how our waste clearance in TW1 can help you, simply call us now on 020 8610 9182 and talk to an expert to learn how to book an appointment with us! Our TW2 based rubbish disposal teams have been working for and with us for a number of years and have never disappoint any of our customers! You can also visit our website for a quote and we will come back to you within 24 hours! When you book with us, you can be sure that you’re going to get an exceptional service from start to finish because we can assure you that no one knows about waste removal Twickenham better than us. All of our services are available for anyone in need, and can be hired at fantastic rates so that you’re not left out of pocket. 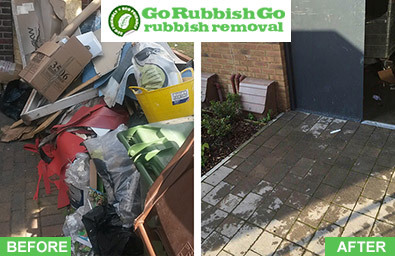 We can remove rubbish and waste from your house and garden and can even take care of rubbish removal in Twickenham, TW1. So, whatever your waste disposal needs may be, give us a call on 020 8610 9182 and let us come to the rescue. Twickenham is based in South West London in the London Borough of Richmond upon Thames. It is home to the famous Twickenham stadium where rugby matches often take place. The stadium also hosts charity music concerts from time to time. The area is known to have 3 major period mansions that serve largely as tourist attractions including Strawberry Hill Mansion, York House and Marble Hill. It is a very scenic town and is surrounded by Richmond, Ham, Teddington, Hampton, Kingston as well as Hampton Wick. Twickenham is very well connected into Central London by both trains and buses. The nearest train station is Twickenham, with nearby surrounding areas including Strawberry Hill, St Margaret’s and Fulwell. Twickenham is known to be the headquarters of Rugby Football Union as well as home to quite a number of churches. It is also home to a large golf course.